National Geographic has an illustrated article Called to the Holy Mountain. 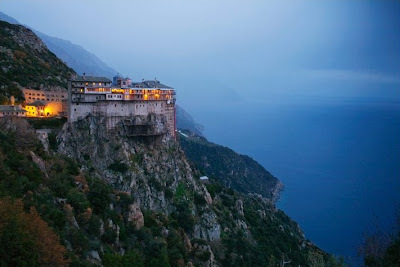 The Monks of Mount Athos which takes a sympathetic look at the life of the monks on the holy peninsula. there are also some stunning photos by Travis Dove.